President Rodrigo Duterte named Adnan Alonto as the new ambassador to Saudi Arabia. The President submitted Alonto's nomination along with the other new ambassadors to the Commission on Appointments (CA). 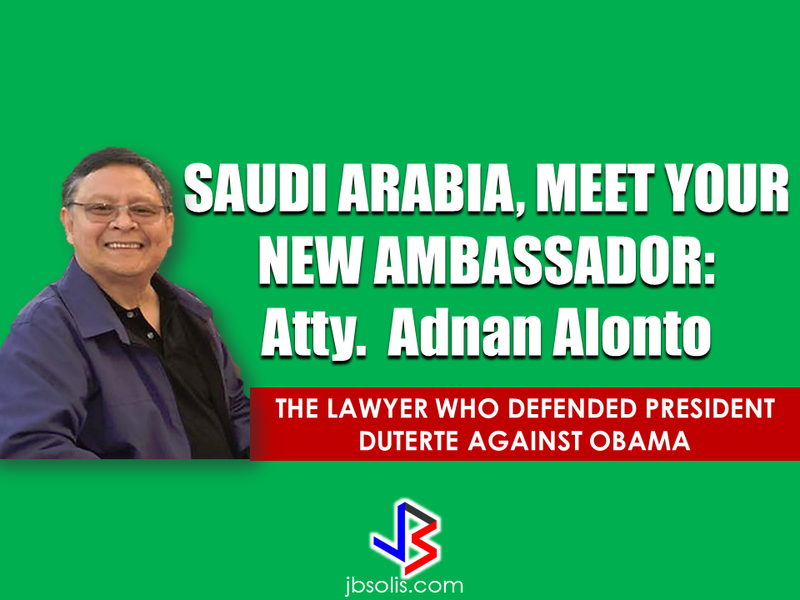 Attorney Adnan Alonto made waves before when he defended President Duterte during the rising issue of US-based anti-Duterte critics regarding President Duterte's remark on former President Obama. Alonto also said that The Philippine President did not actually cursed Obama and that the media is only focused on Duterte's choice of words instead of what is really being said.President Duterte is known to speak his mind freely and Alonto reminds the people that it is because of his honesty is why he is so trusted by the Filipino people and the other leaders globally. Alonto is the overall North America coordinator for the Brotherhood for Duterte USA. A lawyer based in the U.S. and a proud supporter of the president. Among other appointees includes former journalist Teodoro Locsin Jr. as representative to the UN in New York, Jose Santiago to China and former Air Force officer Eduardo Kapunan Jr. to Myanmar, Joseph Yap as ambassador to Singapore along with the reappointments of Bernardina Catalla and Wilfredo Santos as ambassadors to Lebanon and Iran, respectively. Another political appointee for Brunei turned down a reappointment after getting embarrassed in a CA hearing for not knowing how many Filipinos are there in the sultanate and what were their concerns. Sen. Franklin Drilon has urged the President to appoint more career officers. Also submitted to the CA were the reappointments of Environment Secretary Gina Lopez, Agrarian Reform Secretary Rafael Mariano, Health Secretary Paulyn Jean Ubial and Social Welfare Secretary Judy Taguiwalo, which have been bypassed several times due to problems with other CA members. Duterte has promised to retain all of them unless the CA rejects their appointments. KumpaS OFW (Kumpulan ng Pangulo Sa mga Filipinos Worldwide) is a compilation of OFW stories, success and failure likewise, gathered by the Presidential Communications Office to show the real situations of the OFWs working outside the country. All video clips belong to the Presidential Communications Office. Watch and be inspired. Every OFWs has various reasons why they decided to leave their families and work abroad but there is one common goal, to give their family a decent and better future, that they think, would not be possible if they were not given the opportunity to work outside the country. With the country's lack of job and income generating opportunities and investments during the past regimes, contractualization, age limit in applying for the jobs, most Filipinos resort to applying for overseas jobs even if it means leaving your family for years. The only thing that gets the OFW going is a thought that with a slightly bigger salary, they could send their children to school, build their dream house and make their family back home happy.But what if your beloved son or daughter who is in the center of the equilibrium that balances your life to keep you going as an OFW suddenly vanished? Dr. Norieta Calma-Balderrama, the chairperson of the Philippine Board of Child and Adolescent Psychiatry, said that the contributing factors that led to the rise of teenage depression cases include changes in parenting practices, technology, and the environment in this generation. 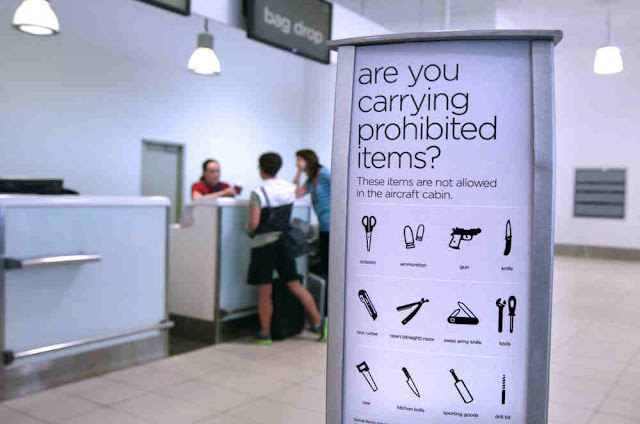 As a passenger, it is important that we know what are allowed and not allowed to bring when traveling via an airplane to avoid problems in our travel.The Department of Transportation and Communication - Office for Transporation Security (DOTC-OTS) released an updated list of items that are not allowed to bring when traveling via airplane.Memorandum Circular 2015-02 or the Revised Prohibited Items List, applies to all flights originating within the country and adheres to standards set by the International Civil Aviation Organization.